It was about time to have another recipe on my blog. I couldn’t post any so far, not because I do not cook (even thought I wish I could have a personal chef in my home…dream on) but because now that we are four, I cook in high speed and we eat them even faster…so no time for photo. 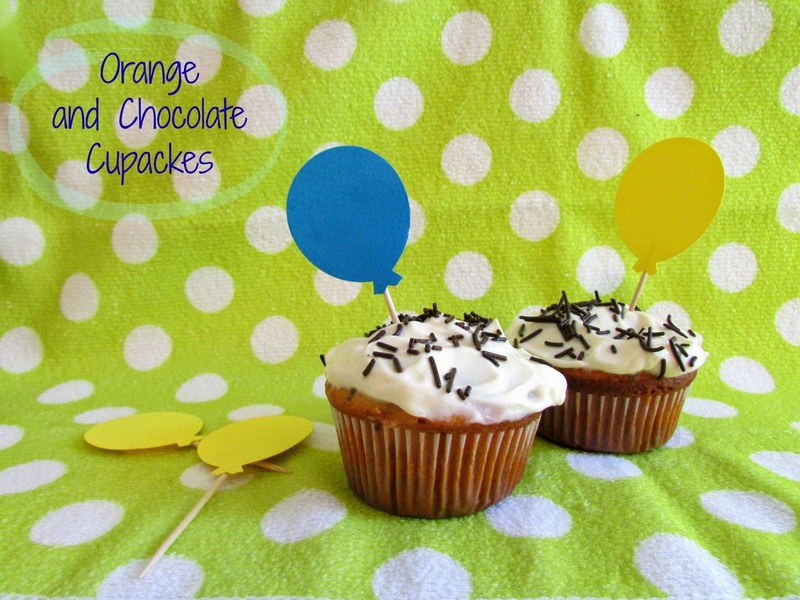 But ok… I managed to photo shoot my favorite Orange muffins with dark chocolate drops! Yummy and easy to cook them! In a bowl mix the oil with the sugar. Add the egg and keep mixing until the mix becomes homogeneous. In a cup add the baking soda with the orange juice, mix it and add it in the above mixture. while with scoop. Your mix is ready. 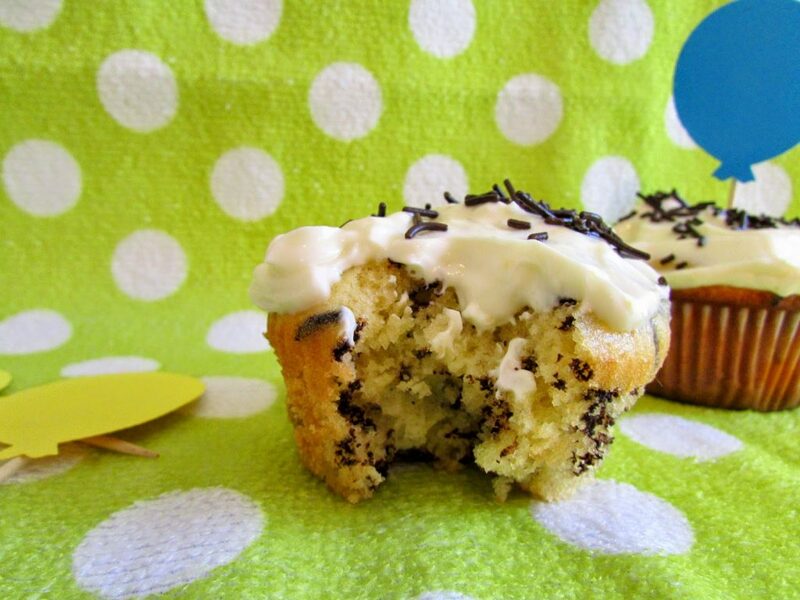 Fill the cupcake pan or a muffin cup with the cake batter and bake it for 20-25 minutes in a preheat oven in 160 degrees C. The cupcakes are done when you insert a toothpick at the center and it comes out clean. Let it cool in a cooling rack. 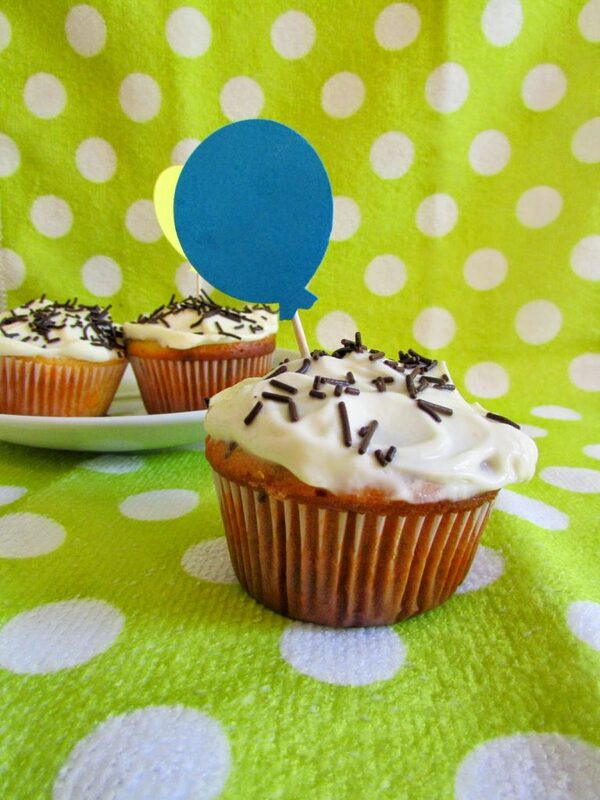 Prepare the icing and decorate your cupcakes…and bon appétit ! 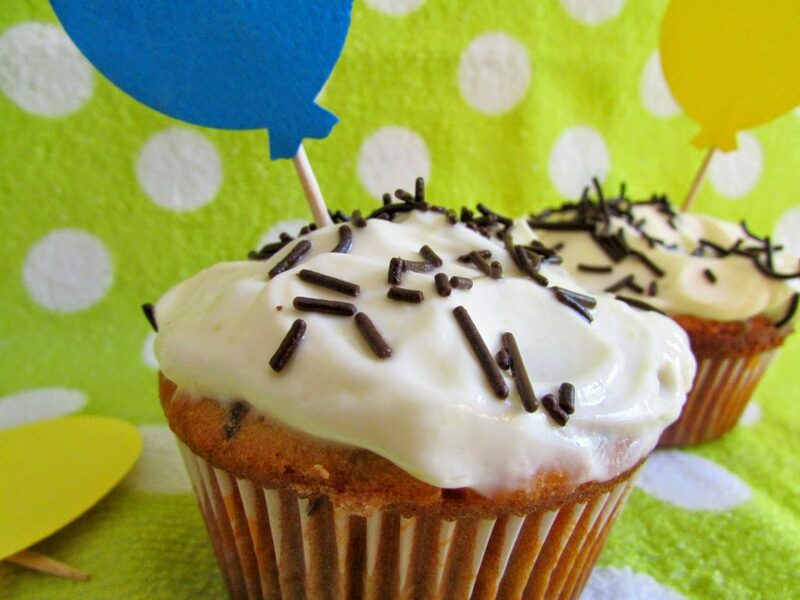 The icing cream just makes them even more delicious! Enjoy them with a cup of coffee or in your breakfast!